Since the moment we heard of the 6.3 earthquake that hit New Zealand on February 22, our hearts have been with you. It is truly heartbreaking to learn of the destruction, loss of life, suffering and pain caused; the shortage of water, food, shelter and supplies faced by thousands of people. Despite this terrible ordeal, we want you to know that you are not alone. Our hearts are with you - we can feel your pain. We all live on planet earth, and that makes us all brothers and sisters. Love, is what we have in common; love, is also what brings us together. I am truly grateful to the Tzu Chi volunteers in New Zealand. Since the moment of the disaster, volunteers have been working tirelessly to establish contacts and co-ordinate relief efforts in New Zealand, in order to provide love and support to its people in the shortest possible time. Today, at this critical and difficult time, Tzu Chi volunteers from Auckland and Hamilton have come to Christchurch bringing you daily essential pack, first aid kit, blanket and emergency gift card to help keep you and your family warm in the fast approaching winter. The road to recovery will be long and arduous, but hand in hand, heart to heart, we are at your side. 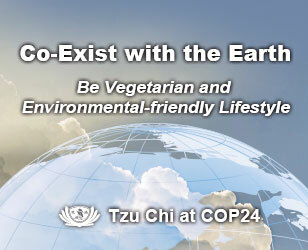 Buddhist Tzu Chi Foundation originated in Taiwan. The Foundation was established in 1966 with the principle of Great Love. Starting with 30 housewives who saved fifty cents New Taiwan Dollar (approximately two cents NZD) from their grocery money each day to help the poor, the Foundation is now present in 50 countries. 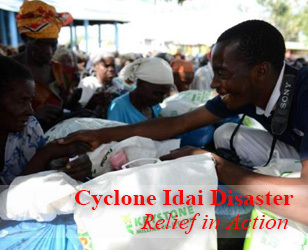 Tzu Chi volunteers across the globe are involved in contributing back to their local communities. Regardless of religions, ethnicities, nationalities or socio-economic status, Tzu Chi delivers strength and hope to the suffering people. The relief goods will be used up one day, but we hope the message of love and spirit of compassion embodied within, will last with you forever and be passed on to others in need. 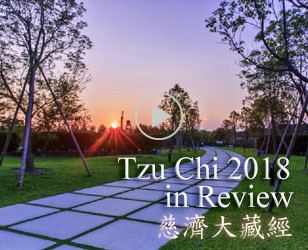 Tzu Chi people from all over the world are praying for you, and hereby extend their warmest and most sincere support and encouragement to you. Although we are far apart physically, my heart and mind is there with you. I am confident that with faith, love and courage, you will soon return to your feet, to embrace a bright and promising future.
" When walking, as we step one foot forward, we lift the other foot up. In the same way, we should let go of yesterday and focus on today. "